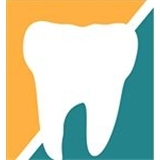 Hempstead Family Dental Care (Hempstead) - Book Appointment Online! We are a father and son run family practice aiming to serve the comprehensive dental needs of our neighboring areas. Dr. Sagar was a pleasure to deal with and gave a very thorough and quick cleaning! I was in and out in about 30 minutes. The staff was nice as well!